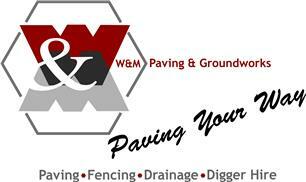 W & M Groundwork Ltd - Driveways/Patios/Paths, Landscaper based in Liverpool, Merseyside. We believe we can offer the best quality work in your area. A local experienced professional who doesn't cut corners giving you peace of mind for years to come. Many of our customers hire us back for more work or recommend us to their friends. We offer a full range of groundwork services including foundations,drainage,digger hire,paving,Artificial grass,Landscaping and brickwork. Why not call us for a free no hassle no obligation quote.